Tom Pakradooni has been racing for almost 30 years under two sanctioning bodies: the APBA and the Canadian HRL. 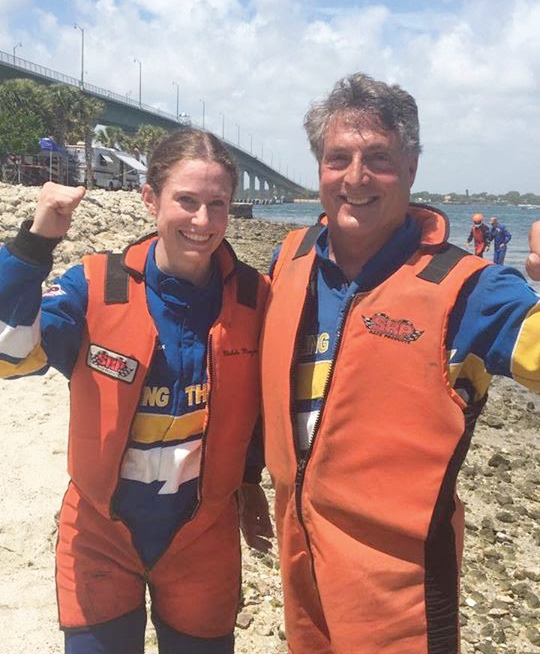 He raced grand prix hydroplanes for nine years, and now he competes in the Jersey Speed Skiff JS-7 Rolling Thunder. 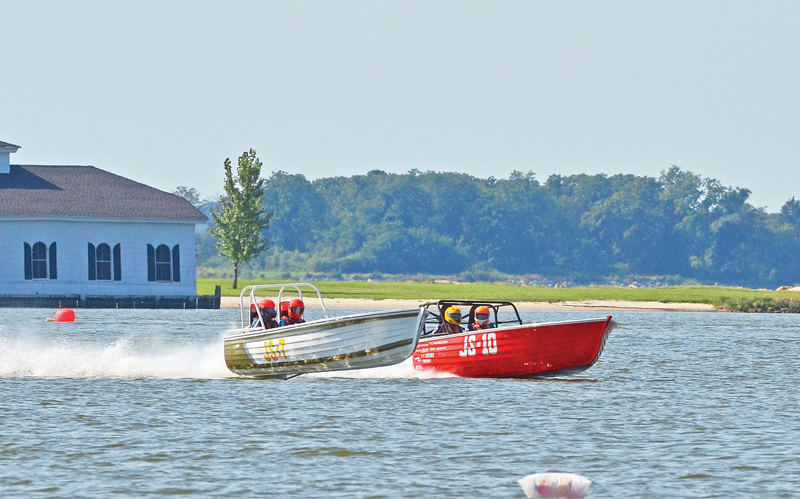 His boat is named after a Methodist hymn: “I see the stars, I hear the rolling thunder.” When not racing, he’s also the owner of Two Rivers Yacht Basin in Chesapeake City, MD. Pakradooni has won High Point awards five times, racing in Florida, New Jersey, Maryland, Indiana, Ontario, and Quebec, Canada, and has been racing with teammate Michelle Morgan for about two years. Tom drives, while Michelle is the rider, or “riding mechanic.” He explains how the tradition of having two people in a skiff dates back to the 1940s. Tom Pakradooni with teammate Michelle Morgan. While Pakradooni was racing hydroplanes, he was also driving a skiff whenever he had the chance. Now he sticks to the Jersey Speed Skiffs. When I asked him what his favorite aspect of racing was, he said undoubtedly the social side of it. And he said many racers would probably tell me the same thing. Tom says he’d be happy to chat with any aspiring racers out there; look for him and Rolling Thunder at an upcoming event. Next up on the Bay is the 109th Cambridge Classic, May 18-19 at Great Marsh Park in Cambridge, MD.